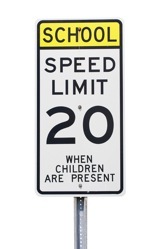 Speeding in a School Zone | Chicago School Zone Speeding Lawyer The Davis Law Group, P.C. Contact Cook County, Illinois Traffic Offenses Attorney The Davis Law Group, P.C. The attorneys at The Davis Law Group, P.C. frequently represent clients ticketed for Speeding in a School Zone and other similar traffic offenses throughout Illinois. Under Illinois law (ILCS 5/11-605), there are enhanced penalties for speeding in a school zone. The law prohibits motorists from driving faster than 20 mph while passing a school zone on a school day when children are present. A school day is from 7 a.m. until 4 p.m. The law requires that appropriate signs be posted where the school zone is located. A first violation of this law is a petty offense with a minimum fine of $150 plus mandatory court costs. A second or subsequent violation is a petty offense with a minimum fine of $300 (the law calls for an additional $50 which is paid to the school district). Illinois law prohibits a sentence of court supervision for speeding in a school zone. As a result, if you plead guilty or if you are found guilty after trial, a conviction will be entered on your public driving record. Therefore, your attorney may attempt to negotiate for an amendment to the offense. For example, an amendment to a regular petty speeding ticket would allow for a sentence of court supervision and prevent the offense from appearing on your record if completed successfully. Of course, these citations may be challenged at trial when appropriate. Our attorneys must evaluate these offenses on a case-by-case basis to determine the most effective strategy. 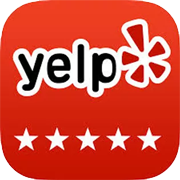 Due to the high fines and prohibition on court supervision associated with this offense, it is often beneficial to seek the representation of a defense attorney. The attorneys at The Davis Law Group, P.C. handle speeding tickets throughout the Chicagoland area including Cook County, Lake County and DuPage County. Feel free to contact us if you have received a ticket for an Illinois traffic violation.